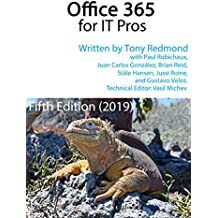 The guest commentary by Louis Naugès posted on ZDNet (July 25, 2011) that compares Google Apps and Office 365 poses some interesting questions that deserve attention. Louis is the co-founder and chief cloud evangelist of international Google Apps integrator Revevol and is an admitted Google partisan. Although some of his points are debatable or just plain wrong, he is right on the mark with others. Louis says that Office 365 is not a cloud-based solution for two major reasons. First, the requirement for a fat client to do “serious work”. It’s absolutely correct that the best user experience is gained with Outlook 2010 but I consider this point erroneous because of the presence of Outlook Web App (OWA). Louis must never have used OWA in anger because if he had, he would have to acknowledge that it is more than possible to process all your email with OWA – and to do so in a much more elegant manner than is possible with the far more basic interface offered by Gmail. Much as I like to use Gmail, its interface is exasperating at times. OWA connected to Office 365: No obvious loss of functionality here! It’s worth noting that similar web interfaces are available for SharePoint and Lync, the other applications bundled in Office 365, so you don’t need a fat client for these either. However, it’s true that there are inconsistencies in the administrative interfaces used across Office 365 that do need attention in the future. The second issue is the fact that Office 365 does not run a single instance of the software for all. It’s true that Office 365 is available as a standard edition and will be available as a dedicated version. Small companies and individuals connect to the standard edition; the dedicated version of Office 365 will be the migration path for companies that have over 5,000 seats and run BPOS today. I don’t see the problem here about supporting dual versions as it allows for greater choice and control. If you define cloud systems as running a single version of the software for all then Google Apps is purer but really… in the minds of customers does this make much difference? I think this point is valid. Companies running BPOS today will have to migrate to Office 365 in the future and this will cost money. Migrations always cost time and money and create some degree of disruption for users and administrators alike. We have yet to see just how complex the migration will be to know how much consulting work partners are likely to generate, but I do think that Google has a somewhat better evolutionary story so far. Part of the reason why is that Google never had to deal with an installed base; part of it is that Google does not have to cope with the support requirements of older fat clients that many companies still run; and it’s partially because Google started with fundamentally simpler applications that it has evolved over time. It’s also fair to note that some of the new features introduced by Google have not worked out and have been removed, but most Google users will probably say that their upgrade/migration experience has been OK so far. To be fair to Microsoft, they are attempting to introduce a cloud offering to an installed base that spans hundreds of millions of users connected with multiple generations of clients in a massive variety of deployments. It’s always so much easier when you can start from scratch. Louis then wonders how companies will react when Microsoft introduces “Office 366” and they discover that they have to upgrade and go through another migration. To me this is the biggest challenge that Microsoft faces in their journey to a point where they can deliver both on-premises and cloud solutions with comparable functionality in an elegant manner. Everyone knows the hassle and bother that companies have gone through during migrations from Exchange 5.5 to Exchange 2000 or Exchange 2003 to Exchange 2007. No one wants to see the same happen when they’re connected to a cloud service and I doubt that CIOs will tolerate Microsoft making any attempt to force the issue. We shall see over time. There’s a fair point here. Microsoft has to do much better for Lync and SharePoint to emulate the success of Exchange in spreading its support across multiple client types and operating systems. I am sure that this will happen over the next few years but the difference in platform capabilities across the applications underscores the fact that three separate engineering groups are co-operating to build Office 365; those groups have not worked together all that closely over the last few years and the gaps have now been exposed both here and in the administrative interfaces. The gap between Exchange and SharePoint is also pointed to in the area of collaboration. As Louis says: “Once again, the advantages of Google Apps over Office 365 are clear. Any content created with Google Apps — text, picture, presentation, blog, wiki, video — is natively shareable. Shareable with all users inside your company, and with all the people with whom you wish to share and collaborate: partners, suppliers or customers. With the professional versions of Office 365, Office (yes, the same Office of the 90s) remains the preferred tool for content creation. If sharing a document is essential, it’s possible to send it to ‘SharePoint'”. It might have all been different had Microsoft built a transition path from public folders many years ago when the need first emerged and SharePoint was demonstrating promise as a collaboration platform. That work never happened and the gap between the two products is too wide to paper over. Again this proves the advantage of not having to deal with an installed base and being able to design a common collaborative capability into multiple applications from day one. We then enter the world of budgets. The assertion is made that “calculating the full cost of an Office 365 solution will require days of work for a group of talented financial professionals. (This is probably the primary justification for the Office 365 solution: Excel 2010 is required to analyze and compare cost vs features! )” whereas Google has kept the same price of $50/year per user for the last four years. Microsoft offers eleven different SKUs for Office 365. The SKUs are called plans and range from Plan P1 for individual consumers and small companies upwards through the enterprise plans that cater for the needs of large companies. The price varies from country to country (see this post) but the basic comparison against Google Apps is Plan P1 at $6/month or $48/year in the U.S. This plan is web-based and doesn’t include Office, but it is a reasonable offering for anyone who just wants to get going with office functionality on the web. However, you can’t have Plan P1 if you have more than 50 people in your company. The ‘on-premise’ prices of Microsoft legacy solutions installed in corporate data centers have reached even higher levels of complexity. This logic has been extended to Office 365, which makes it extremely difficult to put together an objective comparison of historical cost vs the different Office 365 plans. With this level of complexity, Microsoft can more easily ‘negotiate’ price discounts with their major customers. Of course, Microsoft has a lot more experience than Google has in negotiating complex multi-year software contracts with enterprise customers and may well say that they are simply responding to customer needs and requirements. However, I have never met a CIO who has lauded the attempt of hardware or software vendors to complicate the purchasing process! Companies who are planning to migrate from older versions of Exchange that are reaching end of life, such as Exchange 2003. A big opportunity that runs alongside is the replacement of all the Outlook 2003 clients that need to be upgraded to Outlook 2007 or Outlook 2010 before they can connect to Office 365. Companies who are considering using Google Apps – especially those who might migrate from a Microsoft solution. At times the competition will get dirty and I anticipate that Google will rapidly learn and develop its own tactics to compete with Office 365. We shall wait and see whether Google ever sees the need to use marketing funds as creatively as Microsoft obviously has. Microsoft has lots of work to do to close the gap between the three applications that make up Office 365 today. Microsoft has more work to do to simplify the Office 365 plans that are available to customers. Microsoft has a balancing act to perform to keep both on-premises and cloud customers happy over the next few years. Not only do they have to ensure that each community sees their platform develop with new features and functionality, Microsoft also has to achieve smoother migrations to new software releases than they have done in the past. Google has benefited by developing an application suite that wasn’t handicapped by the need to satisfy an installed base. Google is the “purer” cloud solution today but that purity is not always the real measure of the worth of a solution to a customer. Both application suites offer different capabilities to customers. I think that Gmail is well behind Exchange in both features and client user interface but see the value of the collaborative flow between the Google apps that doesn’t exist between Exchange and SharePoint. Watching how this battle pans out should make the next few years very interesting! PS. For those interested in finding out how one company moved from Google Apps to Office 365 (and why), there’s an interesting post to be read. This entry was posted in Cloud, Email, Exchange 2010, Office 365, Outlook, SharePoint 2010 and tagged BPOS, Google Apps, Office 365, OWA. Bookmark the permalink. Thanks for the great article. As someone who has been involved with Office 365 for a while now it is interesting to hear how Google are responding to it’s presence in the market. The amount of SKU’s can be a bit complex when you are putting together a business case but it does also provide the benefit of choice. For example if you believe that your users will be productive with a web client like OWA then you can take the Kiosk plan and just pay for that rather than possibly having to upgrade your user base to Office 2007 or 2010. Just to reinforce your point about Mac and Android users. 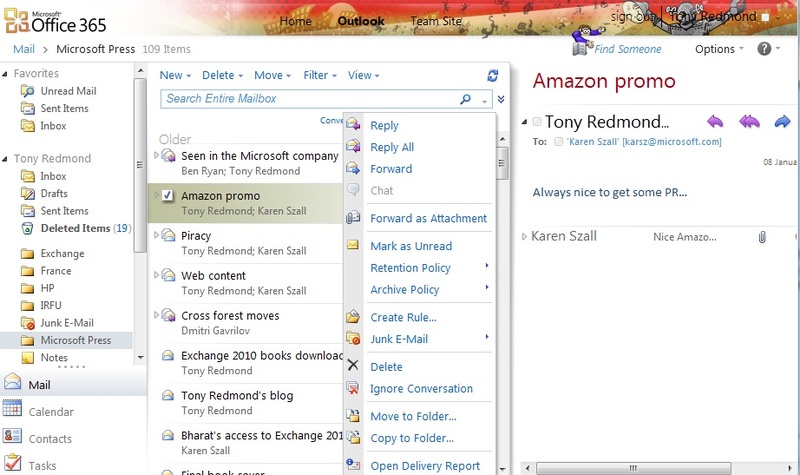 In my experience of an Exchange Online pilot, the current e-mail system was unable to support Mac users iPad’s and iPhone’s or even Outlook 2011; with Office 365 we got them connected via ActiveSync. It is not often I’ve implemented a Microsoft solution and the Mac users are the most positive advocates! I agree that the multiple administrative interfaces is not ideal, for example even within Exchange you have FOPE and Exchange Control Panel, some development of a integrated system over time will be beneficial. The developments in the this space will be great to watch. Thanks a lot, Tony, for your detailed and very professional comments on my blog. Coming from a recognized expert on Exchange and Office 365, this is very important for me. You have pinpointed points which were “debatable”, and I agree with you; It’s very difficult to be 100% accurate on such a complex subject. Most of the comments on ZDNet were very “hostile” but without content; the objective of my blog was not to be anti-Microsoft at all. My objective was to explain what are the real and profound differences between these two solutions, Office 365 and Google Apps. It’s important, in my view, that decision-makers, both on the Management and the IT side, understand what they are buying when they have to make such an important decision. Thanks again, and I hope that your holidays in the South of France will be wonderful.